In accordance with FTC guidelines for bloggers and endorsements, I would like to clarify that the books reviewed by me are either purchased/borrowed by me, or provided by the publisher/author free of charge. I am neither compensated for my reviews nor are my opinions influenced in any way by the avenues in which I obtain my materials. I received this book for free from the publisher in exchange for my honest review. 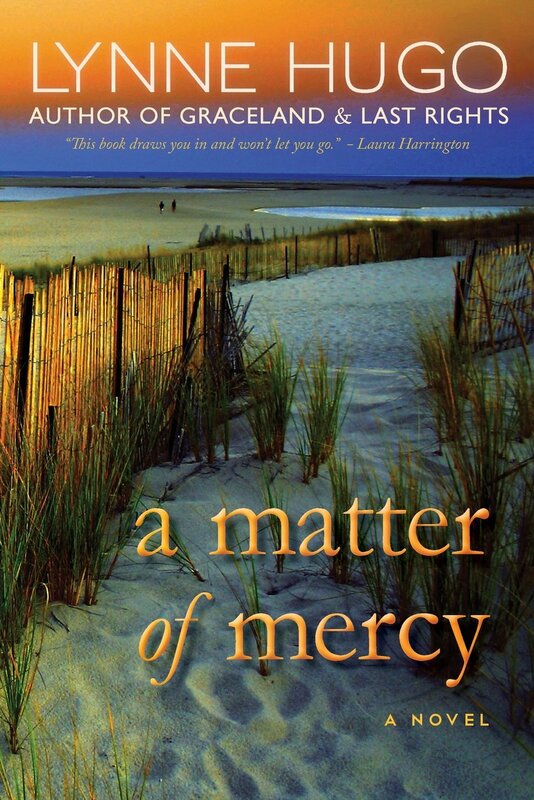 A Matter of Mercy is one of those well-written books that lifts itself out of the ordinary airport reads about damaged women and rudderless men and introduces threads of serious questions about personal relationships, guilt, misunderstanding, and communication. Hugo sets her stage beautifully on the oyster flats of Cape Cod Bay, where Cici has returned to her childhood home to help care for her dying mother. Cici has a lot of serious baggage including a marriage that failed, and a period of prison time as the result of a vehicular homicide she caused while under the influence of alcohol. Her mother’s house stands on the horseshoe beach near the aquaculturists’ oyster and clam beds. Cici meets an old acquaintance from high school who works the beds, and they share a one night stand with disastrous results. Complicating the picture are a lawsuit between the oyster grant holders and the “washashore’ parvenu rich residents who are trying to claim the oyster beds as part of their beachfront property, and Cici’s obsession with watching the mother of the boy she killed, in a misguided attempt to feel some sort of release from her guilt feelings. Hugo does an excellent job of showing the miscues and missed opportunities that arise when people cannot talk about what is going on in their heads. Cici and her mother have problems discussing approaching death and Cici’s isolation. Cici and Rid misunderstand what each wants from the other, and jump to the wrong conclusions in their budding relationship. Rid finds himself trapped by his inarticulateness as he tries to maneuver the shoals of the lawsuit. And almost tragically, Cici is unable to control her need to somehow connect with Terry, the dead boy’s mother, who has never been able to cope with the loss of her child. Hugo based her story on a real life lawsuit between the grant holders and the beachhouse owners in 1996. She has a firm grasp on the ins and outs of oyster farming, and she understands the bred in the bone connection the grantholders have for their family businesses. She has a deft touch with characterization and dialog, and moves her various storylines along with grace and ease. There are no easy answers to the story. Hugo resolves her plot lines, but we are left wondering about the nature of mercy, and the wisdom of the choices some of the characters make. There is something lovely in the way that Cici says farewell to her mother, and in the family that forms around her by her mother’s dear friends. Rid and Cici definitely grow in the progression of the novel, and their difficulties are cleanly drawn and empathetically framed. I loved Hugo’s facility with the facts of oyster farming, and was pleased to learn a great deal about aquaculture and the people who make their living from the Bay. It feels like a part of an arcane and forgotten culture, one that ties us to a different era, and a different style of life. This was far more than a contemporary romance. This book handled serious human questions with dignity and heart. I am very glad I read it. We rarely get stories that can stand alone as a compelling tale and also as a contemplation on the human condition.